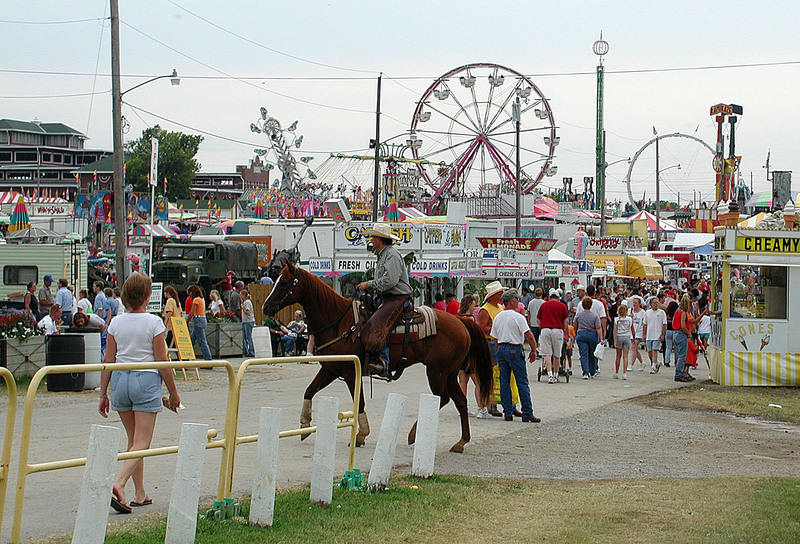 Sedalia is a little town of 400,000 — ok, that’s just in August, when it hosts the Missouri State Fair at the third-largest fairground in the country. Just 21,000 people live there the rest of the year. It’s a town that has overcome daunting obstacles to become one of the nation’s most unlikely tourist destinations. You don’t run across Sedalia, pronounced “sih-DALE-yuh,” easily. It’s east of big Kansas City, but an hour and a half’s drive away — a little too far to stretch the K.C. suburbs or to comfortably drive into the big city to work. Missouri’s obscure state capital, Jefferson City, lies an hour away in the other direction. If it weren’t for the Capitol and state office buildings, Jeff City wouldn’t be any bigger than Sedalia. And that’s about all of note in the region unless you’re into grain silos. Worse for a prairie town like Sedalia, when the federal and state governments stretched the big, four-lane Interstate highway across Missouri beginning in the 1950s, they ran it 29 km (18 miles) to the north of Sedalia — too far away for the town to tap into the usual growth around Interstate exits. Sedalia’s not one of those glitzy planned communities or trendy places built around a big tech center or research park or sports complex. It’s an old city that easily could have fallen into ruin. There’s not even a river running through town, along which the city fathers (and mothers) might have built a nice walking trail and a bandshell. With that kind of introduction, you wouldn’t think there’s much to do in Sedalia beyond grabbing a malt at Eddie’s Drive-In or Griff’s Burger Bar. Check that. Both those classic joints closed last December in the face of competition from the usual parade of Small Town America fast-food outlets. This could have been grim, all right, not the upbeat success story that you’re about to read. 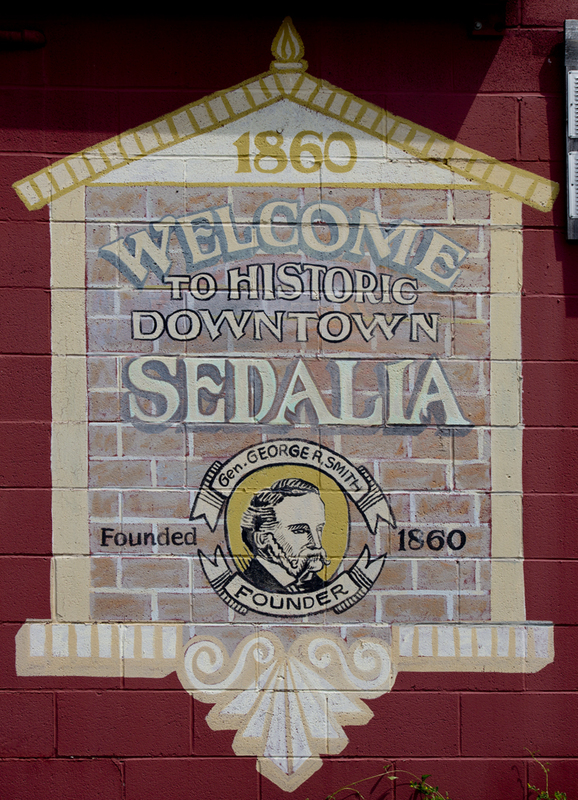 Sedalia was founded in 1860 as “Sedville,” hardly the most catchy of names, by George R. Smith. “Sed” was his daughter Sarah’s nickname. A former officer in the state militia, Smith had helped usher Mormon settlers out of Missouri Territory at the point of a gun. For that work, he was awarded the title of “general,” which he carried with aplomb in business dealings throughout central Missouri. Smith made sure the railroad, moving west fast across the nation, ran right through Sedville. Or rather, Sedalia. His business pals convinced him that “villes” were dot-on-the-map hick towns, not the spectacular “Queen City of the Prairies” that they and he envisioned. “Sedalia” had a more elegant, important ring. 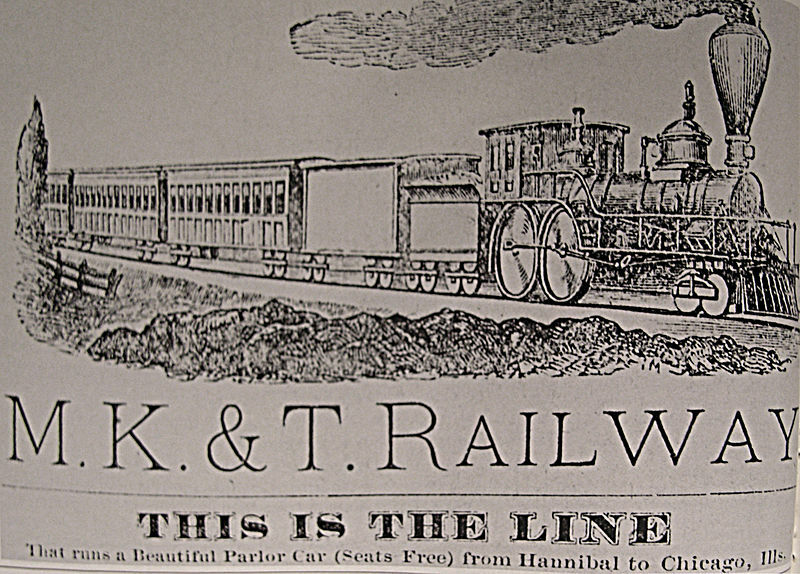 Sedalia got its railroad — in spades. Four main lines would eventually converge on the tiny town — and General Smith made sure he had a piece of the building boom that came with it. Sedalia became a maintenance hub of the Union Pacific, bringing lots of jobs with it. 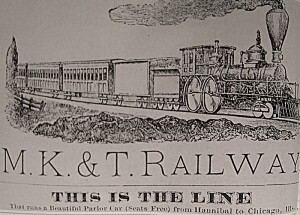 And the famous “Katy Line” — from its “KT” stock-exchange code; it was formally the Missouri, Kansas, and Pacific — made its way up there all the way from Texas. 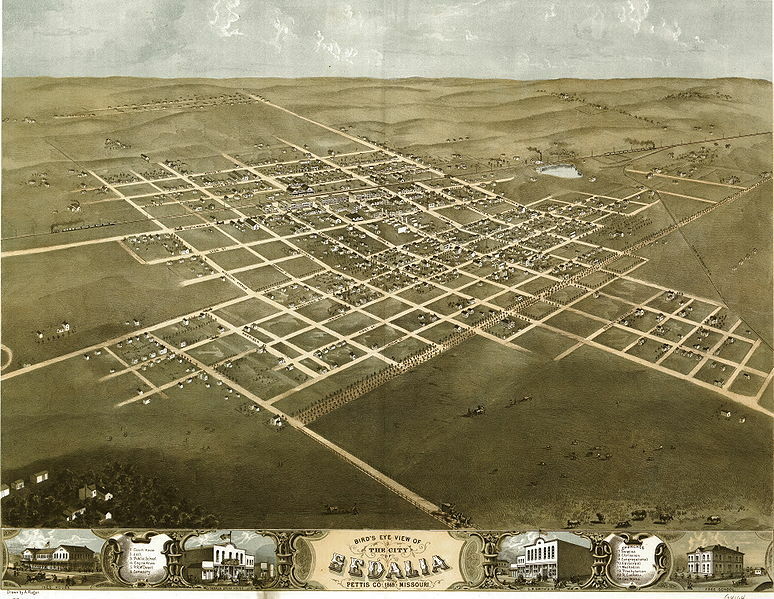 Even before the Katy got there, Sedalia had been a trailhead — a “cow town” — the destination for dusty cattle drives out of Texas and along the edge of Indian Territory in what is Oklahoma today. An endless stream of beef on the hoof was loaded aboard freight cars in Sedalia and sent east to slaughterhouses in St. Louis and Chicago. On top of that, Sedalia was the site for large encampments of U.S. Army soldiers, who battled rebellious southern Confederates until 1864 and then confronted decidedly unfriendly Shawnee Indians, whom white settlers had been trying to push out of the territory. So early Sedalia was awash in thirsty and rowdy railroad men, cowhands, and soldiers. It was a boomtown so prosperous that 22 impressive brick business buildings sprang up in one year, 1871, alone. And there was plenty of hootin’ and carousing inside some of them. “The Sodom and Gomorrah of the nineteenth century,” the St. Louis Post Dispatch newspaper called Sedalia. Not exactly the slogan a chamber of commerce would want to paint on the welcome signs outside of town. Vice was so rampant in Sodom and Gomorrah on the Jordan River, you’ll remember from your Bible or Quran study, that God destroyed them with a heavenly hail of fire and brimstone. Sedalia was spared such sudden divine judgment, but the boom faded. Cattle drives and the Army went elsewhere. Kansas City stole most of the railroad passenger business, which nearly withered to a stop after World War II. These days, just two Amtrak passenger trains in each direction stop in Sedalia. And the Katy line’s maintenance shops closed for good in 1940. Even the Minuteman missile silos that ringed the town beginning in 1964, during the stare-down with the Soviet Union during the Cold War, were dismantled in the 1990s after a Strategic Arms Reduction Treaty was signed. So Sedalia could easily have become Case Study No. 1 of a decrepit, dying small town. 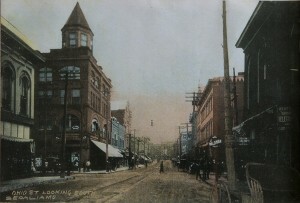 Instead it is thriving because it embraced and began promoting its colorful history. It restored many of its classic structures rather than tearing them down as so many towns across America were doing. And it shrewdly used the annual state fair as a showcase, adding musical events and artistic displays to the usual array of hog-judging contests and pie bake-offs. Check out some of Carol’s photos, and see if you don’t agree that one can stand in downtown Sedalia and feel like you’re in a crisp and tidy 1920 postcard scene. 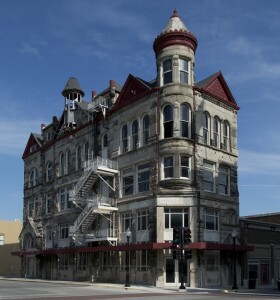 The classic Missouri Trust Building, which was finished around 1890, still stands and is as beautiful a specimen as ever. (Carol M. Highsmith). You can pose in front of what was once a cigar or lady’s hat store, a theater where the town’s first “talkie” movie was screened, a church where services were held in German, and all sorts of former saloons and speakeasies. 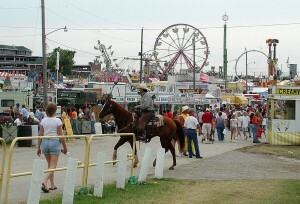 Barns and archways and swine and sheep pavilions — even a “Woman’s Building” — too, on the State Fair grounds. 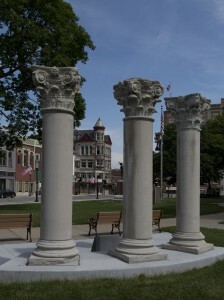 The oldest structure there dates to 1903. I believe there’s a growing fascination with, if not hunger for, such places in our fast-changing nation, and Sedalia has packaged nostalgia beautifully. I haven’t even mentioned a name that became synonymous with an entire genre of music — a name that most Americans would associate with Sedalia, if they’ve heard of the town at all. Think of the “waltz,” and you’d probably picture Vienna, Austria. Country music: Nashville, Tennessee. Blues: Memphis, also in Tennessee. The soul sound of Motown: The Motor City — Detroit, Michigan. Folk: San Francisco or New York City’s Greenwich Village. Ragtime was born in Sedalia, in the bars and brothels that were plentiful during its heyday as a railroad and cow town. There were lots of jobs for piano players then, and Scott Joplin was one of them. 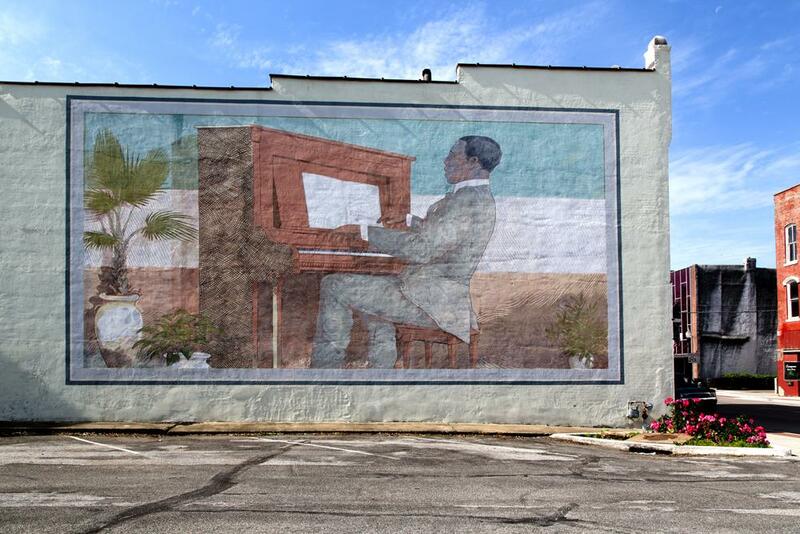 The son of an African-American slave, Joplin taught himself the piano and cornet, moved to Sedalia from Texas, formed his own band, and developed a unique, herky-jerky style of music ideal for keeping his intoxicated audiences entertained. He called his compositions “rags.” The most famous, the “Maple Leaf Rag,” was named for Sedalia’s Maple Leaf social club for black men. It was the first piece of American music to sell 1 million copies — not on records or CDs — or Internet downloads, assuredly. On sheet music, which eager buyers took home to play on their parlor pianos. The sound swept the nation, in part because this tinkly music was ideally suited for piano rolls, which were then wildly popular. As these rolls of heavy paper punched with holes slowly turned within so-called “player pianos,” they activated the keys and produced music all by themselves. 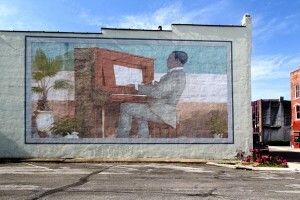 Each June in Sedalia, ragtime musicians and fans — and thousands of people who enjoy dressing up in 1900-vintage clothing, riding big-wheel bicycles, and occasionally growing handlebar mustaches —converge on Sedalia for the Scott Joplin Ragtime Festival. And railroad buffs now seek out little Sedalia to stroll through the restored Katy Depot, which is full of railroad-heritage exhibits. Devotees of architectural history like to walk about there, too. 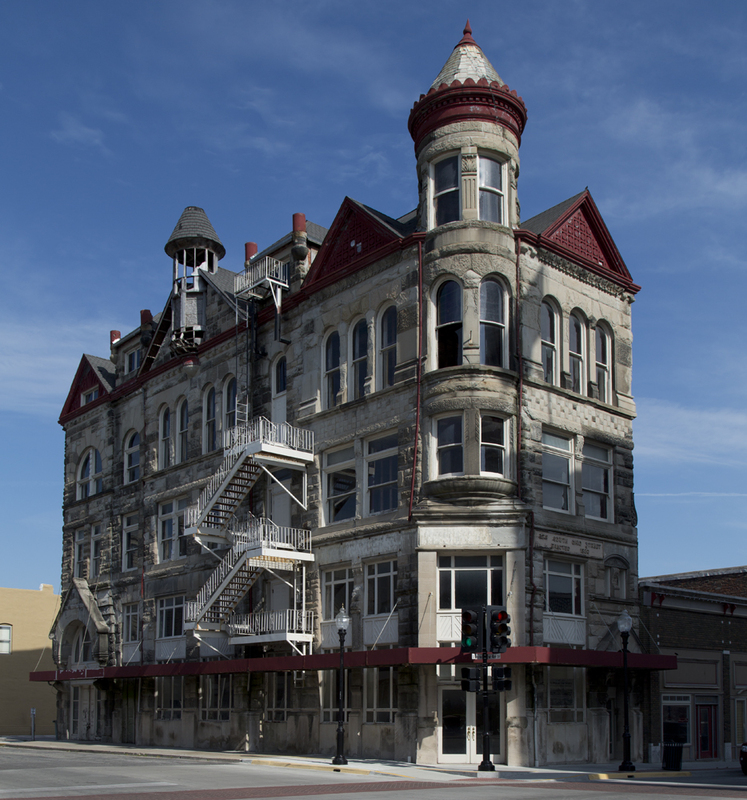 Along Sedalia’s downtown heritage trail stand dozens of renovated buildings laden with Italianate, Classical Revival, and Romanesque flourishes: cast-stone windows, terra cotta and terrazzo tile detailing, pseudo-Egyptian motifs, iron Tuscan pilasters — even cartouches and oriel windows. Yes, I defined “oriel” and “cartouche” as “Wild Words,” below. I didn’t know those words, either! Many of Sedalia’s magnificent details had been hidden for decades under ugly aluminum facades, thrown up in the 1960s, when business communities nationwide were desperate to look “modern” and keep customers from fleeing to suburban shopping malls. It didn’t work, and what had been elegant buildings stood there, empty or half-empty, and looking outdated and tacky. But tall weeds don’t grow through cracks on Main Street in Sedalia. Downtown is alive with activity, thanks to festivals, imaginative small businesses, and a growing arts community. Lots of writers have set up in pleasant lofts there, including Becky Carr Imhauser. She is Sedalia’s unofficial town historian and, as Carol and I discovered to our delight, an occasional and vigorous accordion player. 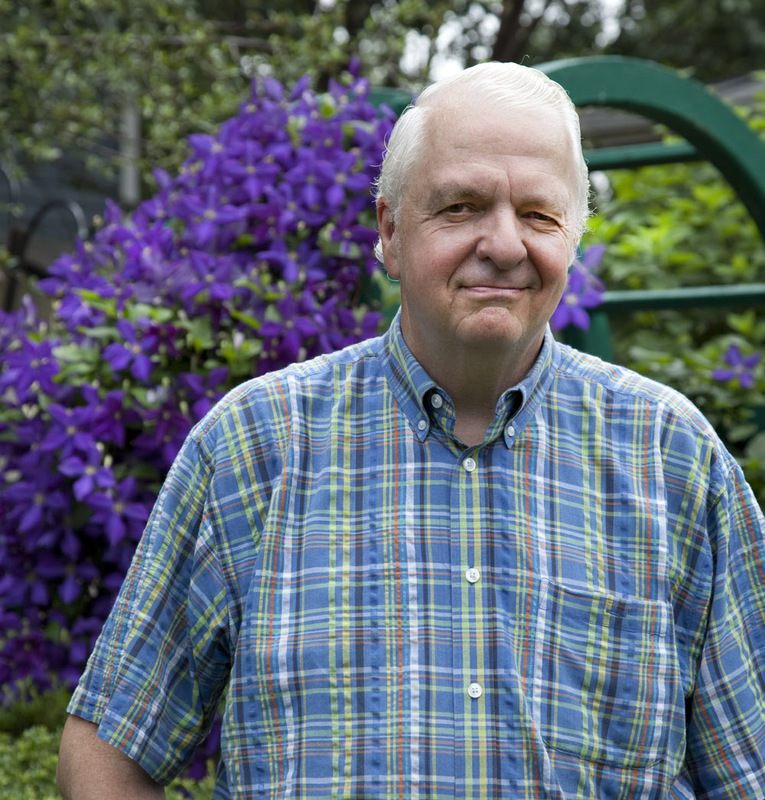 Becky has published five books that are rich in lore and replete with the kind of historical photographs over which one simply must linger. She graciously shared some of these images with us — and with you. 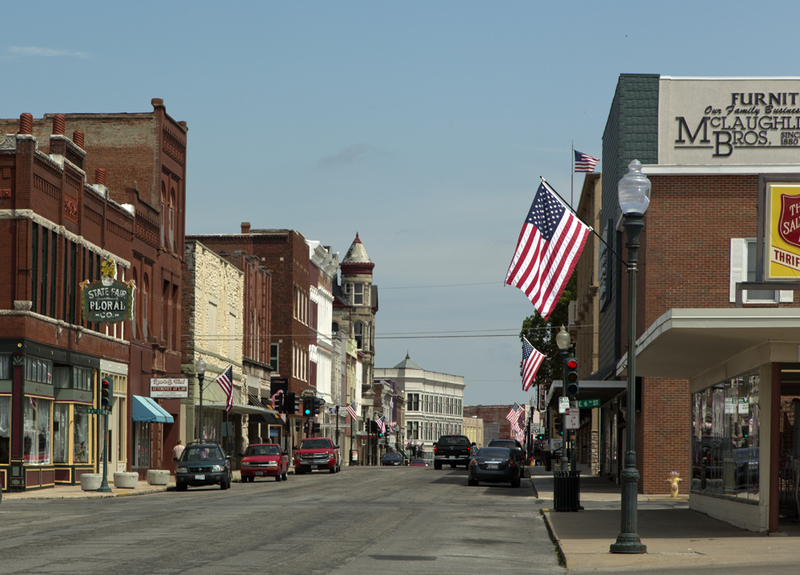 Sedalia, now a bustling hub of central Missouri, “began as a mere interruption to a vast expanse of prairie grass,” Becky wrote in one of her books. Some of that grass has grown back along a 375-km (233-mile)-long hiking and biking trail on the corridor of the old Katy Railroad, which ends right in downtown Sedalia. It’s the longest rail-to-trail park in the nation. There’s one sign of progress in town that particularly struck me. 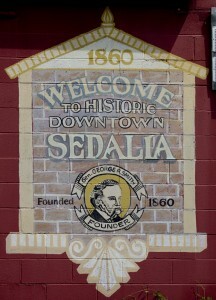 Like many small American towns, Sedalia opened its own community college. Construction on what would be aptly named “State Fair Community College” began in 1966. It has quite a few modernist buildings today, but folks around town still talk about its modest beginnings, when workers completed the first six prefabricated units connected to a central hallway. Cartouche. An ornamental inscription, often on a building or tomb, that looks like a scroll with rolled-up ends. Oriel window. More commonly called a bay window, which protrudes outward from the surface of a building. Speakeasy. An establishment serving alcohol during Prohibition from 1920 to 1933, when the making and selling of alcoholic beverages was illegal. 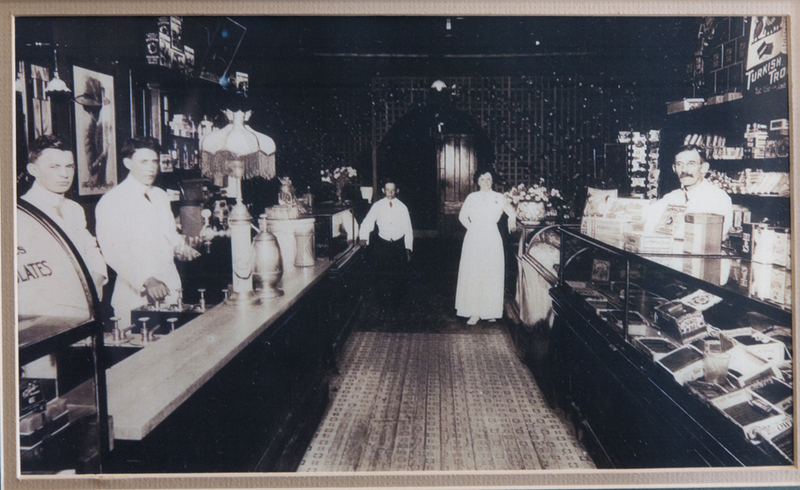 Patrons were admitted through a guarded door with a peephole, in which they would “speak easy” when asking to be admitted.